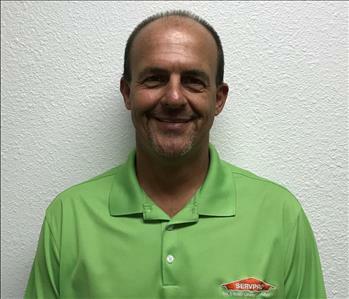 Shane Parish is one of the owners here at SERVPRO® of Lake Worth/Benbrook. He has over ten years of experience in the restoration industry and over thirty in the customer service industry. He’s certified in WRT, CDS, ASD, Carpet Cleaning, Tile Cleaning, LLRT, Time & Materials and FSRT. He is one of our fearless leaders here at SERVPRO® and is not only driven to succeed himself but pushes all of us to succeed as well. 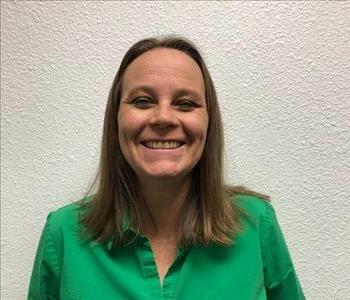 Angie is the co-owner of SERVPRO of Lake Worth/Benbrook, and she has plenty of experience in the restoration industry. She has a IICRC Water Restoration Certification and is also a certified lead renovator. Angie is from Ohio, where she met her husband Shane, but is now a proud Texan. She and Shane now own and operate multiple SERVPRO franchises where they always strive to give each customer a 5-star experience! 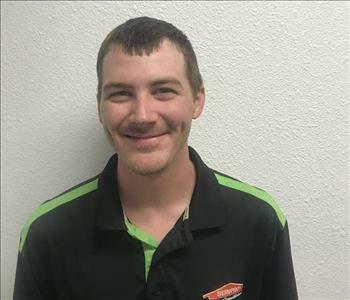 Dakota is a Production Manager here at SERVPRO of Lake Worth/Benbrook, and he is one of the hardest working guys we know. He is WRT, ASD, CDS, and Lead Renovator certified, and is a master at knowing just what to do when disaster strikes. From Hurricanes to mushrooms growing in homes, Dakota has seen it all! His favorite part of the job is being able to bring relief to people during a stressful time. When Dakota isn't working, he enjoys playing disk golf, going to concerts, and hanging out with his family and dog. 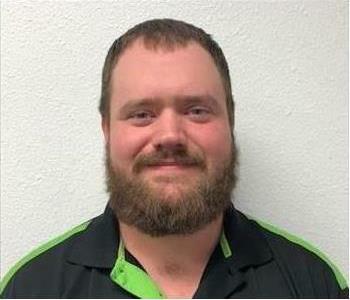 Corey is one of our Production Managers here at SERVPRO of Lake Worth/Benbrook. He has been in the restoration industry for four years and has eighteen years of experience in customer service. He is certified in both ASD and WRT. He is highly motivated and loves to make customer’s days better. Corey is from right here in Texas. In his free time, he loves to train his dog, Lexi, weight train, watch TV and play video games. His favorite movie is Tombstone, and his favorite food is steak! 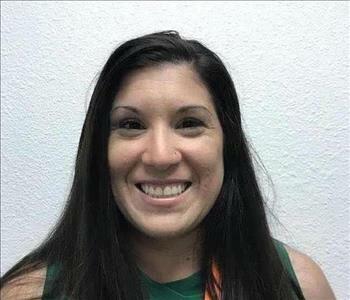 Jessica is our Office Manager here at SERVPRO of Lake Worth/Benbrook. She has sixteen years of experience in the restoration industry with 17 years of experience in the customer service industry. She is our go-to here in the office if we have any questions and is incredibly knowledgeable in all thing’s restoration! She is certified in WRT, IICRC< and Time and Materials. Jessica is from here in Dallas and in her free time she loves to spend time with her son, write, and do video production. Her favorite movie is Lord of the Rings and she loves Mexican rice. Zach Hastie is our Mold Specialist here at SERVPRO of Lake Worth/Benbrook. He has three years of experience in the restoration industry with over fifteen years of customer service experience. He is WRT Certified, and he is a Mold Remediation Contractor. If you’ve got a mold problem, Zach is the guy! He treats each and every job with the same respect, and attention to detail. Zach was born in Fort Worth and grew up in Florida before finding his way back to Texas. When he’s not working, he’s planning for his new baby, spending time with his family at the lake, and playing disc gold. His favorite movie is Caddyshack and his favorite food is steak and potatoes! 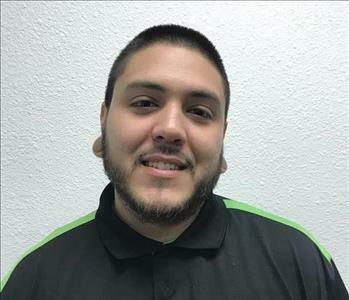 Dominic is one of our Technicians here at SERVPRO of Lake Worth/Benbrook. He’s got about one year of experience in the restoration industry as well as over five years in the customer service industry. He is incredibly friendly and responsible and works hard to make sure he leaves every customer happy. Dominic comes to us from Fresno, California! In his free time, you can find him playing with his four kids, playing video games and cooking. His favorite candy is Sour Patch Kids, and his favorite food are ribs! 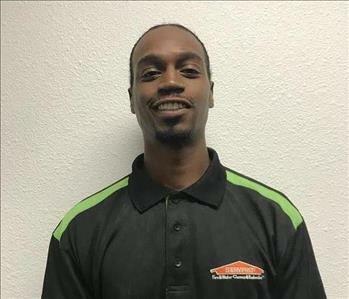 Aaron is one of our technicians here at SERVPRO of Lake Worth/Benbrook. He has seven years of experience within the restoration industry and seven years of experience in the customer service industry. He is certified in WRT, Fire, and Odor removal. He is a hardworking fellow who can always be counted on to get the job done right! Aaron is originally from Michigan, where he worked for another SERVPRO! In his free time, you can catch him sleeping or playing 2K. His favorite food is cheese cake and his favorite movie is The Wood. 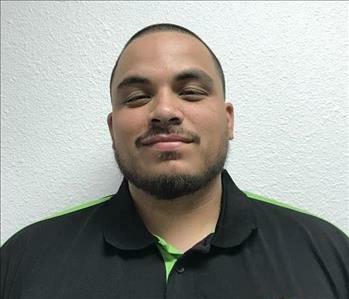 Mike is one of our technicians here at SERVPRO of Lake Worth/Benbrook. He has one year of experience in the restoration industry with four years of experience in customer service. He is an extremely hard worker but loves to make people laugh. It’s not hard to find him telling a joke somewhere in the office or warehouse. He is certified in HVAC and IICRC! 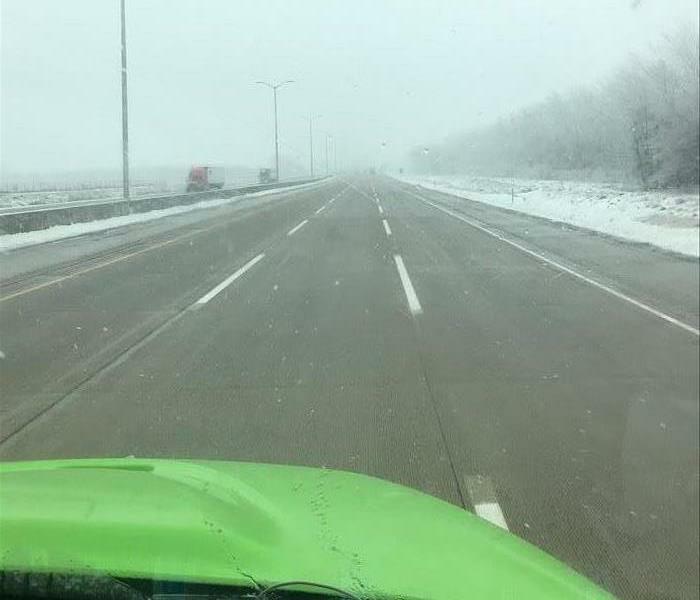 Mike is from right here in Texas and in his free time you can find him watching TV and spending time with his family. His favorite food is rice and his favorite movie is the Green Mile. 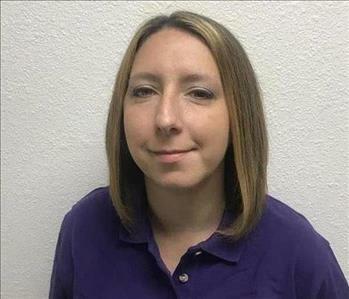 Misty is one of our Job File Coordinators here at SERVPRO of Lake Worth/Benbrook. She has one year of experience in the restoration industry with over 25 years of experience in the customer service industry. She is certified in IICRC and is a notary! She is very self-motivated, and puts her customer’s needs first. Misty was born here in Texas but grew up in Arkansas. In her free time, she likes to hang out with her family, and is a self-proclaimed home body. She loves anything and everything horror and her favorite food is steak and potatoes. 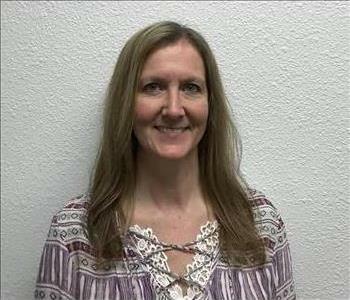 Betty is one of our Marketing Support Coordinators here at SERVPRO of Lake Worth/Benbrook. She has one year of experience in the restoration industry with over eight years of customer service experience. She is very passionate about what she does and loves to make people laugh. 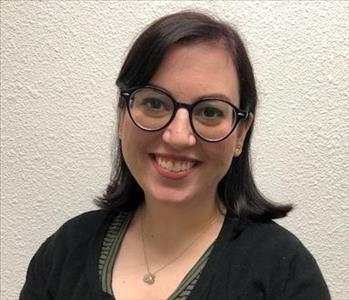 She graduated with a degree in Strategic Communications from the University of Central Oklahoma, and an associate degree in Graphic Design from Oklahoma City Community College. Betty is originally from Denver, before moving to Oklahoma City and then finding her way to Dallas. In her spare time, she loves to play video games and spend time with her family. Her favorite food is chips and salsa and her favorite movie is Oceans 11. Kylan is one of our Business Development Managers here at SERVPRO of Lake Worth/Benbrook. He has 19 years of experience in the restoration industry with 19 years of experience in customer service. He is incredibly friendly and super easy to talk to, making him a great comfort to our customers. He is certified in IICRC, WRT, and ASD. Kylan comes to us from Portland Oregon! In his free time, he likes to work on his classic Volkswagens, coach pee wee football, and camp. His favorite food is artichokes and his favorite movie is Animal House. Lindsey is one of our Business Development Managers here at SERVPRO of Lake Worth/Benbrook. She is brand new to the restoration industry but has over 20 years in the customer service industry. She is very passionate about the SERVPRO brand, and it definitely shows when she talks about it! Lindsey is from right here in the DFW metroplex and in her free time she loves to spend time with her kids, thrift shopping, and sleeping! Her favorite food is Mediterranean food and her favorite movie is It’s A Wonderful Life. Beth is one of our Business Development Managers here at SERVPRO of Lake Worth/Benbrook. She is brand new to the restoration industry but has almost 40 years of experience in customer service! She is incredibly outgoing and friendly and is really good at making relationships within our community. Beth comes to us from Ohio and got to Texas as fast as she could! In her free time, she likes to spoil her grand babies, train for the roller derby, and spend time with her family. Her favorite movie is Step Brothers and her favorite food is Tacos!